Wash and dry spinach. Boil salted water to poach the eggs. Cook for about 3.5 minutes or until done to your liking. In a small pot warm the vinegar on high to reduce by half. Away from the heat, incorporate cold cubes of butter and beat. Arrange the spinach on the plates. 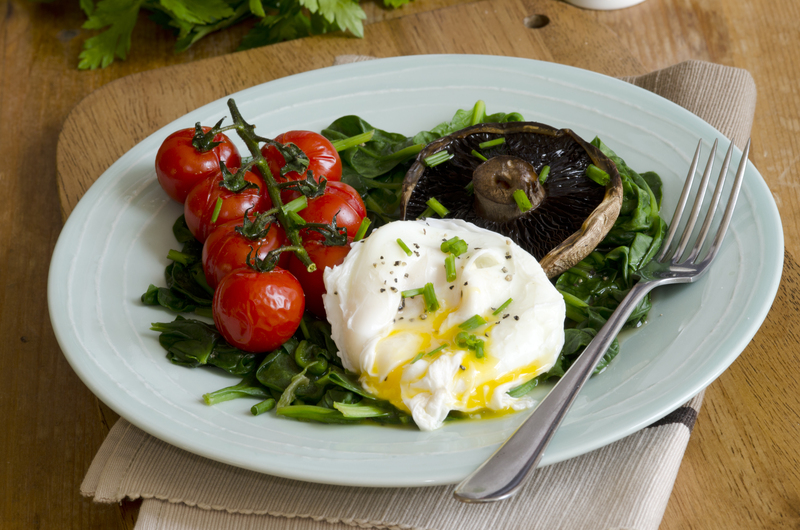 Place poached egg on spinach, cover with warm dressing and fresh ground pepper to taste.